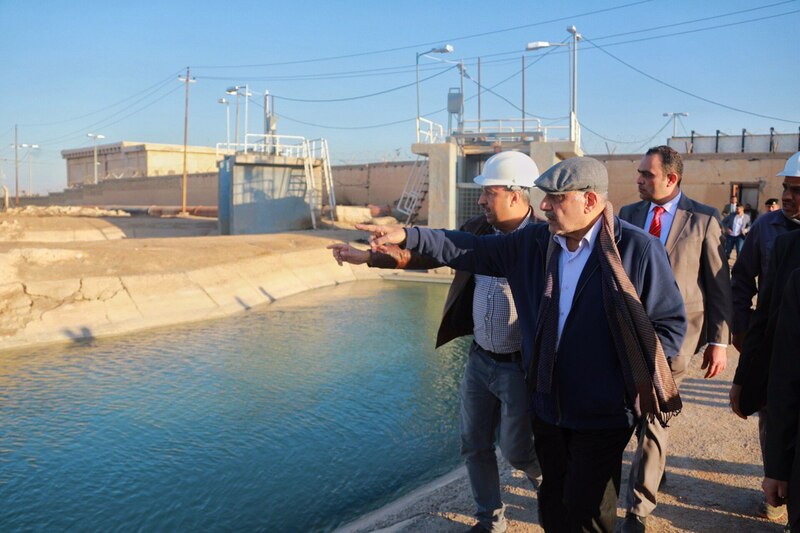 His Excellency Prime Minister Adil Abd Al-Mahdi inspected the site of the R-Zero water purification plant in Basra, commended it's cadre's efforts for their contribtion in providing clean water. His Excellency Prime Minister's visit focused on inspecting the service projects in Basra, particularly the projects of water, sewage, gas and power plants in the field of Zubair to see the achievements and obstacles facing the sectors of production and distribution, to view the ongoing preparations to meet the growing needs of energy in the coming summer, to find the best solutions and respond to Basra's people demands. His Excellency Prime Minister briefed directly on the problems experienced by citizens in the services sector through meeting a number of them in the areas visited, confirming that the purpose of this visit is to find solutions and alleviate the suffering of Basra's people with the cooperation of all. His Excellency also met with representatives of foreign companies operating in the Zubair Oil field.